The harsh mid-day sun renders the landscape a binary of intense light and shadow. How like life! In the mountains, our day is split between laboring uphill in effort to reach the peak, and then, in a few seconds, the pain relents and gives way to the exuberance of descent. Struggle and release, pain and joy. It put me in mind of a brief relationship with an emotionally troubled Dutch woman who sold her paintings of obese mermaids to tourists in Rome. It could be wonderful and terrible from one minute to the next, but it was real. Except for her hallucinations, which were a big part of the problem. But before I became lost in memory, something snapped me back to the present. My travelling companion, Norman (Mailer -ed.) was in trouble. I knew because I could no longer hear him. Norman whimsically insists on making "motor" noises with his mouth whenever he rides, and alternately pretends that he is a motorcycle or a truck, (each one has its own distinctive sound). He had been making his motor sounds every second he was on his bicycle for the past two weeks, so the silence was jarring. A quick survey of the valley below found a long cloud of dust terminating in a pile of bicycle parts and limbs ringed by a flock of concerned sheep. Once I caught up to him, he explained that he interpreted a "hard look" from one of the sheep as a challenge, and had raced down into the valley after it. 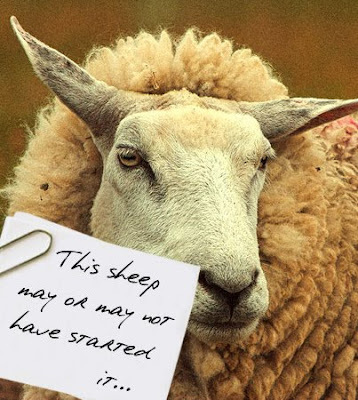 I suspected the sheep was blameless but I did not press the isssue. We needed to repair the bicycle and Mailer needed to rest. Luckily, the Italian mountains are filled with little towns populated by elderly mechanical experts and their hospitable, equally elderly wives. The closest one was just a half mile down the road, and we quickly located the local bicicletero. With the rest of the day to kill, I wandered around the rustic villa. Even without my bicycle, it is obvious that I am a cyclist. If I am guilty of vanity, it is in purposly choosing garments that accentuate my sturdy legs. The kimono I chose for today's ride was no exception, and several passersby took note of the toned bulk of my thighs. The excited whispers all around me gave me an idea. If I was to be a curiosity to these simple folk, I would give them proper entertainment. While Norman sat bare-chested at the town's cafe, eating bowl after bowl of soup, I retrieved my bicycle and played an impromtu avant garde improvisational composition on its frame, wheels, and crank. Though I am sure none of them could truly "understand" the music, they were all aware that they were witnessing something special.